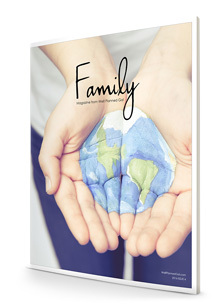 Family Magazine by Well Planned Gal is a refreshing bi-monthly publication with thought provoking articles and beautiful design. In each issue we explore the daily life of a homeschool family with practical, current homeschooling advice and resources. Join the most meaningful discussions taking place in the homeschooling community and make the most of these exciting years. To give you a glimpse of what you will find in your new subscription, a gift of a back issue of Family Magazine will be mailed to you. Your purchased subscription will officially begin when the next scheduled edition of Family is mailed out, and you will receive six full issues of the magazine in addition to the free back issue.